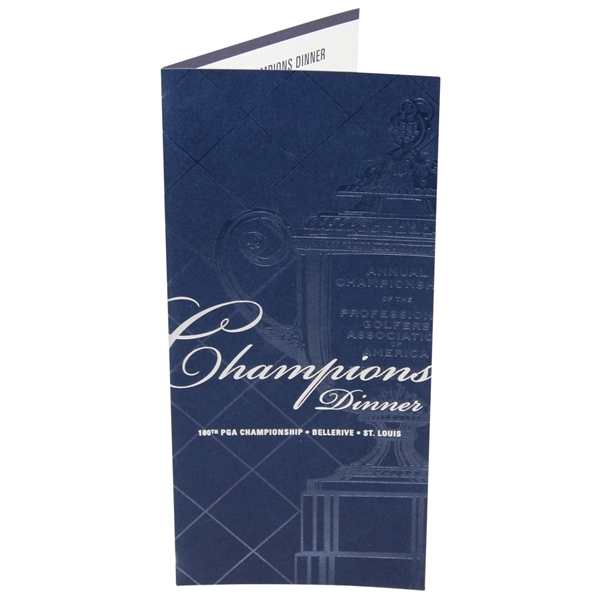 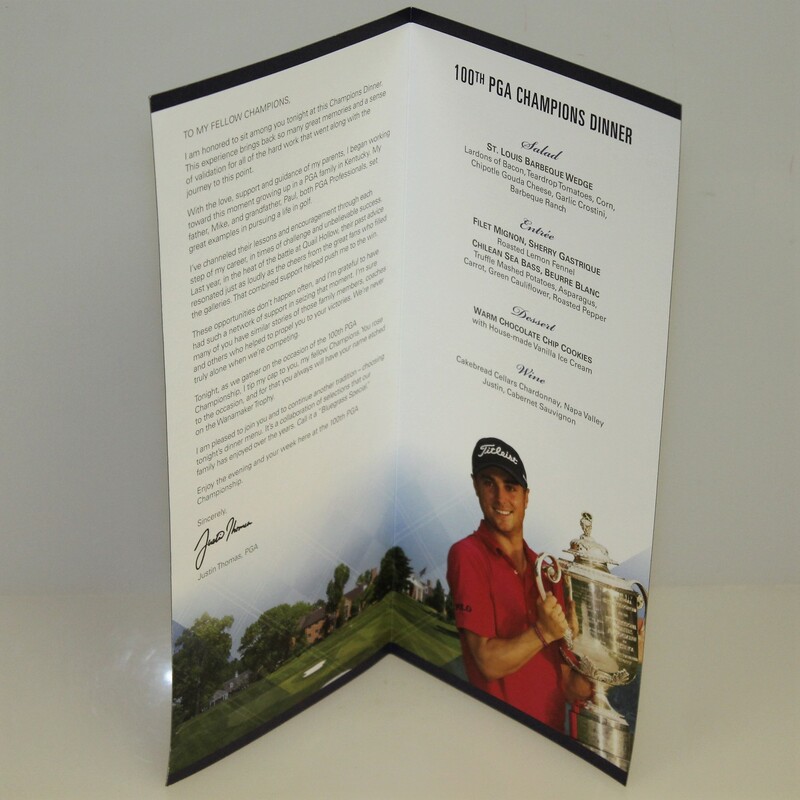 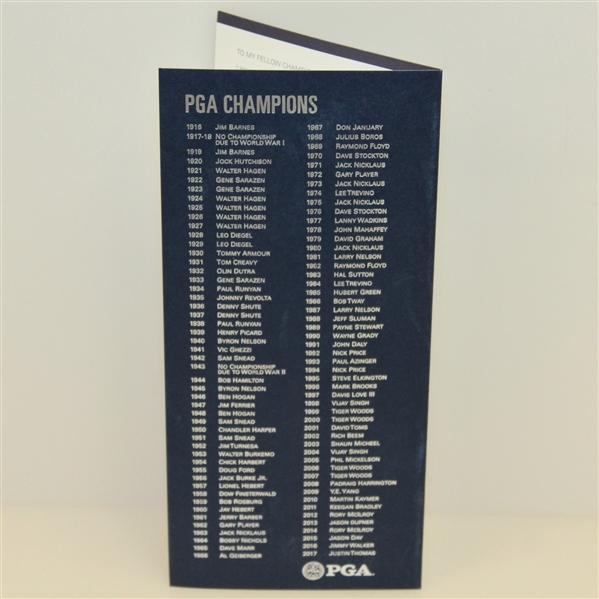 Here we have a menu from the 2018 PGA Champions' Dinner hosted by the 2017 PGA Champion Justin Thomas. The menu comes in great condition. Brooks Koepka claimed his second consecutive Major title at the 2018 PGA Championship, his third overall.